5" x 5" x 15.75"
6.4" x 4.8" x .75"
9" x 4.75" x .6"
7" x .8" x 19.7"
6.5" x 6.5" x .6"
9" x 4.3" x .3"
3.7" x 6.9" x .4"
5.2" x 3.3" x 1.3"
5.4" x 7.8" x .8"
6" x 4.7" x 14"
The transformation of the lavish ornaments of the Baroque into contemporary jewelry has long characterized the work of Tamara Grüner. Inspired by the Berlin iron jewelry of the 19th century she combines pressed and stamped elements in the historicism style with black porcelain and plastic. In the series Brilliant Memories, the artist deals with the history of the Bohemian fashion jewelry-making family, Prade. From the glass stones, plastic components and metal parts that are still available, she designs jewelry at the borderline between art, craft and fashion. The rich ornamentation of the metal pieces and the intense colors of the glass stones do not act as ornaments in the jewelry but as essential details. Since my childhood I have been fascinated by antiques, which has grown into a love of museums. When I enter a museum and I look at the objects, I am always thinking about the artists behind the objects and how they made them. It seems that the objects can tell me a story from former times. 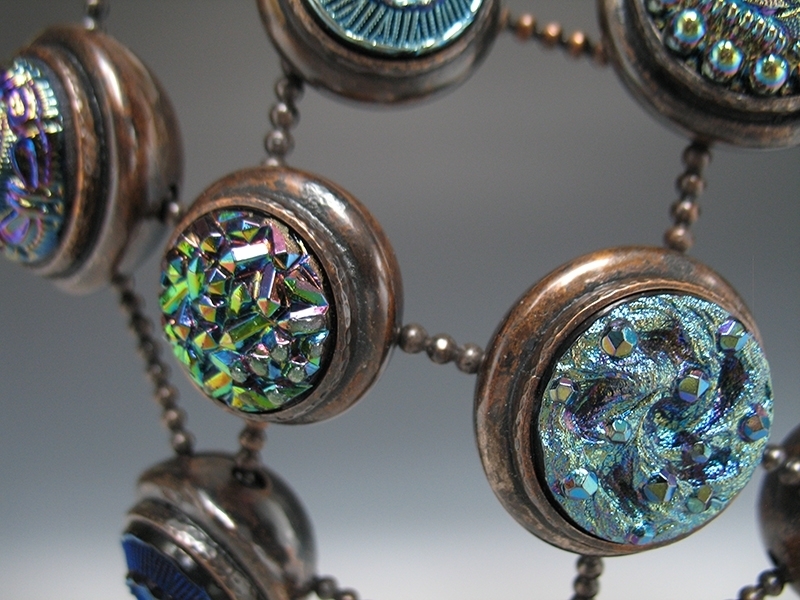 In 2009 I started using old metal pieces and glass stones for creating artist jewelry. 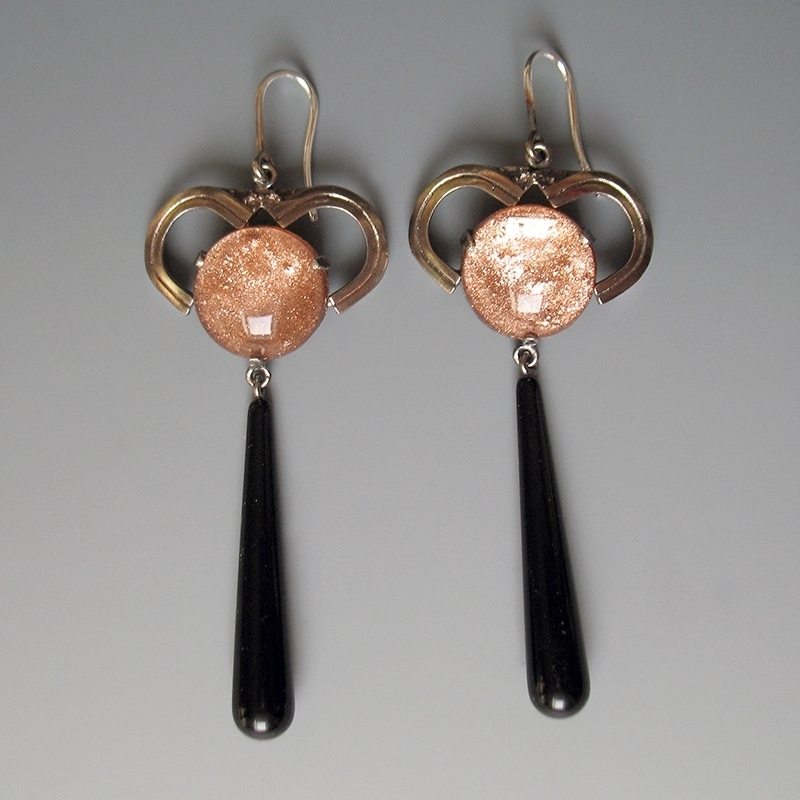 The ideas of the historical jewelry pieces were transformed into my own work. Today I make “shadows” of the Art Nouveau pieces: I combine bits of historical pieces with other materials by using a variety of formal elements. Repetition and layering stresses the importance of the form. For me the reverse side of a jewelry piece is as important as the front side. I often create very complex reverse sides, a little secret for the one who will wear the jewelry in future. 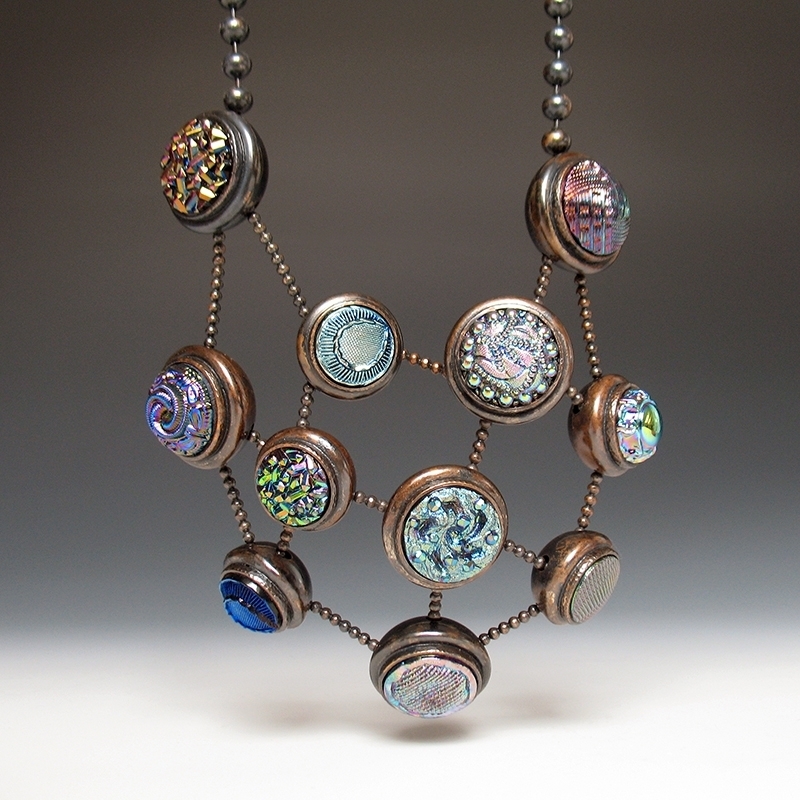 Each work is a template for the next one and each finished jewelry piece possesses the possibility to communicate with the viewer. The pieces of jewellery of the series “Brilliant Memories” focus on and deal with the past of the family of Bohemian costume jeweler, Prade. Expelled from his home country, Richard Prade had to leave Gablonz in 1946 and relocated in Schwäbisch-Gmünd with his family. There, in post-war Germany, his first pieces made out of leftover material came into being. Only ten years after the liquidation of the Prade company in 1995, the still existing material was released. Hence, for “Brilliant Memories,” colourful glass stones, synthetics and pieces of tombac are taken from their past and put together to create all new glistening forms. Their lush ornamentation can first and foremost be found in the metal parts, which are integrated in their original form in the unique pieces of jewellery. The chromaticity softens their austerity and enchants the observer. Scrolls do not seem to be mere decoration, rather they are an essential part of each piece. Cutouts attract the viewer’s glance and invite the eye to linger. In this way, new life is breathed into old materials. By combining porcelain and synthetics, a fascinating dialogue arises.